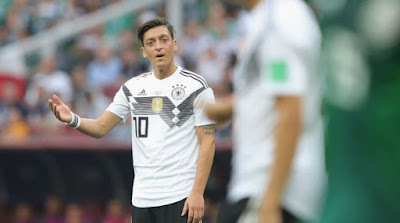 It is said that Ozil has a low passion playing for the country and the Arsenal star body language on the pitch always reveals it all. In a match where everyone expected the defending champion to win confortably, they struggled through out the game and ended up losing by a goal to nil. In an interview with BILD, Matthaus review the game and pointed out Ozil's negative body language during the game. Germany's next game will be on Saturday against Sweden, a match they will need to win if they really want to keep their World Cup hope alive.